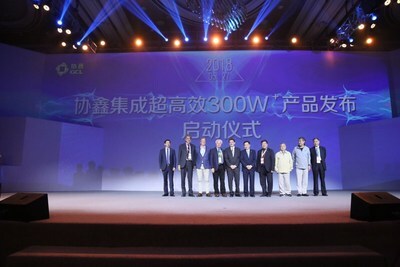 SHANGHAI, May 29, 2018 /PRNewswire/ -- GCL System Integration Technology Co., LTD. (SZ: 002506) ("GCL-SI"), a subsidiary of GCL Group, China's leading energy service provider, has premiered four new monocrystalline and polycrystalline modules featuring Multi-Busbar (MBB) technology at the SNEC PV Power Expo in Shanghai. The company also revealed its plans to place equal emphasis on both module types and expand into emerging markets across the globe. The new additions to GCL-SI's high-efficiency portfolio come in two series, normal single-glass photovoltaic (PV) modules and glass-to-glass bifacial modules. The power output of the single-glass MBB polycrystalline modules hits 305W in mass production, making them the normal-type polycrystalline modules with the highest output in the world. The wattage for the single-glass monocrystalline modules has reached 315W, 10W higher than the standard output in China's Top Runner Program. "Our new lineup of modules that feature MBB technology are game-changers for us. 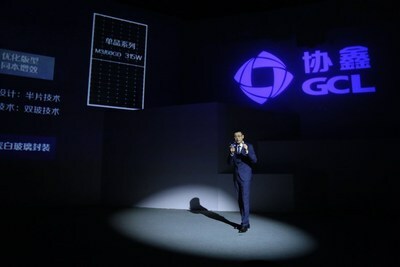 They allow us to offer high efficiency, reliability and application flexibility at lower production costs, which makes them accessible to a wider range of potential customers," said Luo Xin, the president of GSL-SI. "Our overseas sales volume has doubled in the past year. Going forward, we will expand our operations into emerging markets, especially countries that fall within China's Belt and Road Initiative, by developing or investing in industrial parks, with the goal of achieving 50% of our sales overseas by the end of 2018, and 70% by 2020." MBB technology brings a 2% increase in cell efficiency and 30W increase in power output to modules. In addition, the glass-to-glass bifacial modules vastly increase the power generation potential of each surface. These new products showcase not only the company's technological advancements, but also a variety in product lineup. A portfolio of both monocrystalline and polycrystalline modules will create an advantaged position in the industry for GCL-SI, leading to growth in market share. The emergence of new technologies such as Polycrystalline Black Silicon PERC, Monocrystalline PERC, N-type Monocrystalline and many others, along with highly differentiated products and technology breakthroughs, have cut production costs and boosted performance and efficiency. As a result, the PV market is enjoying steady growth and emerging markets especially are growing rapidly. The world's leading manufacturer of PV modules, GCL-SI serves both domestic and global markets with various needs and application conditions with high-efficiency cell modules. The company is able to address specific customer needs by creating tailor-made integration system solutions. GCL-SI has been making inroads in smart manufacturing, improving product performance and production efficiency with new technologies such as automation, digitalization and the Internet of Things.